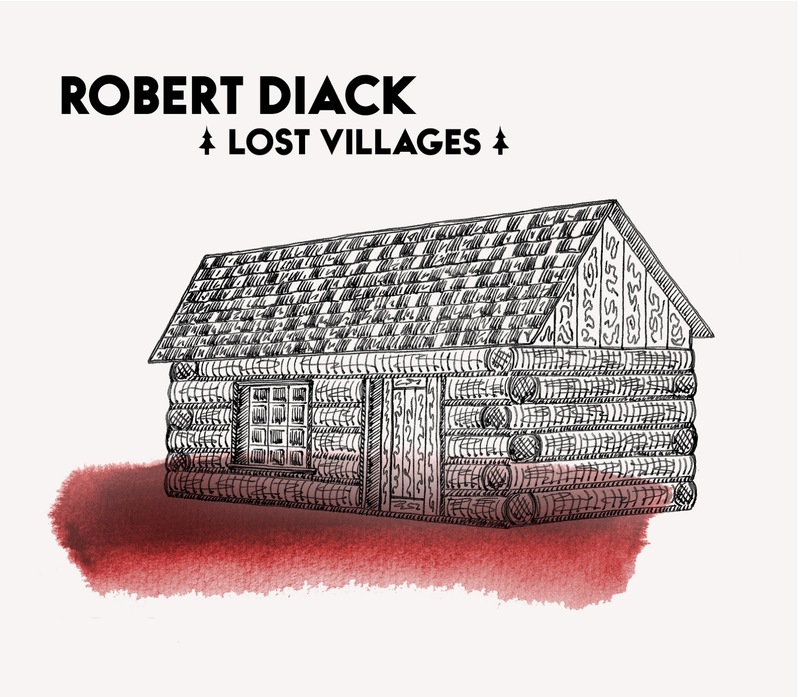 Toronto-area drummer Robert Diack releases exciting and progressive debut album "Lost Villages"
Robert Diack is a drummer and composer from Toronto, Canada. He has studied music extensively in Toronto, with over fifteen years of learning in various institutions across the city. 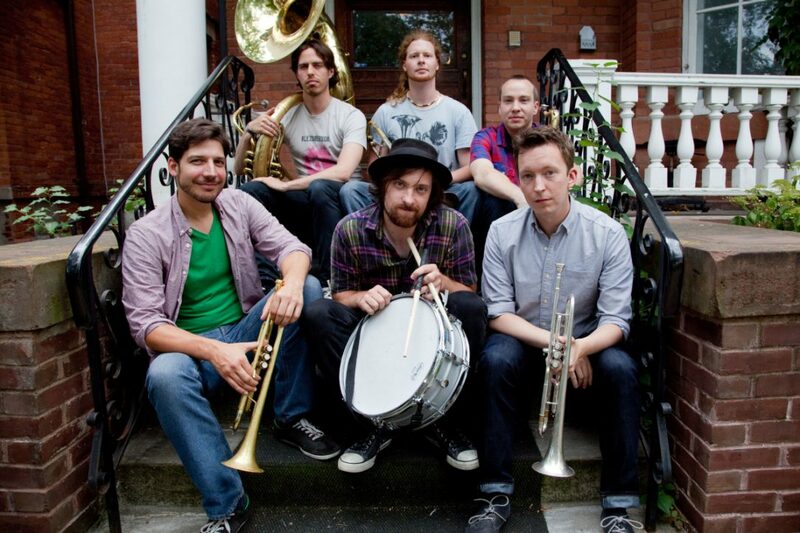 Robert studied jazz at the University of Toronto and is a student of Nick Fraser. Composing for many years, he draws his influence from jazz and post-bop, to folk and traditional, to post-rock and pop music. As a drummer Robert has recorded and played over Canada, especially in Toronto. 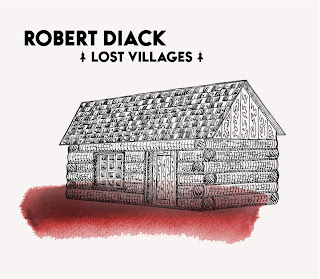 Recordings include two indie pop albums with Reenieband, large-scale informal releases with the musical collective Luscar, and an upcoming folk-rock album by David Madras. Marty's review: this album takes elements from jazz, world music, progressive rock and combines them to create a themed "soundtrack" to a movie that plays in your own imagination. With superb musicianship and creative editing effects, this will take the listener to a place where the music is part of the scenery and tells a story in several chapters of music-scapes. The album Sky Glow is a culmination of the various artistic influences that inspire and drive Toronto-based jazz guitarist Chris Platt. It features a collection of original compositions by Platt inspired by the incredible works of Billy Strayhorn and Guinga, amongst many others. Sky Glow is a continuation of the long standing tradition of the guitar trio. A major influence on Platt’s playing comes from groups that put the guitar at the forefront, where the responsibility of both the melodies and harmonies land on the guitarist to creatively navigate. Echoes of trios led by Ed Bickert, Lenny Breau, and Jimi Hendrix can be heard here, with all three instruments collaborating to create more than the sum of its parts. A large part of the sound of the album was the guitars Chris played. For the majority of the project, the warm, woody sound of the traditional ‘jazz-box’ (or archtop) guitar gives a nod to tradition, while dawning a new guitar sound that brings clarity and freshness. The other guitar used on “Platter” and as a rhythm track on “No More” was a Tele-style guitar by the same luthier. The Tele bring a familiar sound that has permeated genres since the early 1950’s. With these sounds, Sky Glow brings a new feel to a genre steeped in tradition. 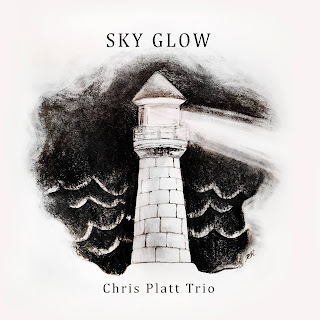 Marty's review; Chris Platt takes the jazz guitar back to its natural form, with exquisite, flowing lines and a subtlety in his playing that is almost sublime. Combine this with the added bonus of his equally talented accompaniment of Phill Albert on bass and Robin Claxton on drums and you have an album that is pure, natural and even "organic" in its production with a nod to the traditional style of the jazz trio. "This City won't wash away. This City won't ever drown". 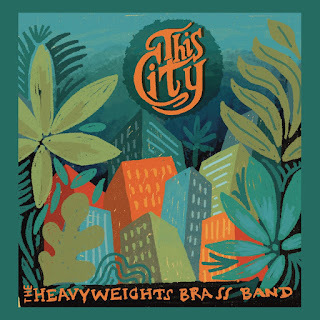 The words of outlaw poet Steve Earle echo through the Heavyweights Brass Band's newest release, This City. In their highly anticipated third full-length album, The Heavyweights have taken a pilgrimage to the city that has inspired them since their inception. 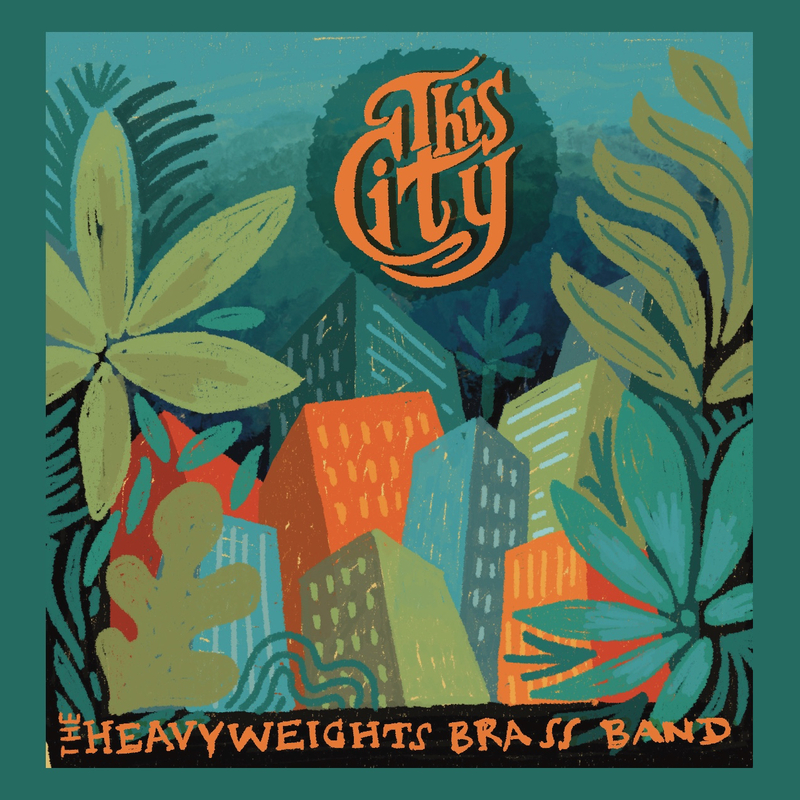 Recorded in New Orleans, the cradle of jazz ,with a second-line of special guests from groups such as Preservation Hall Jazz Band, Dirty Dozen Brass Band, Trumpet Mafia and many more, the Heavyweights bring a fresh, energetic take on a deeply grounded tradition. Marty's review: The Heavyweight Brass Band pay homage to New Orleans jazz with this release and they do it in style with panache. 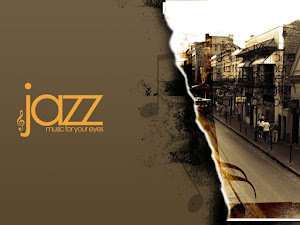 Sounding like more than the 5-piece outfit they are, with a few guest musicians lending a hand, the album combines traditional jazz with a contemporary style that is a joy to listen to without being extensive and overbearing. Each member contributes an equal share of their instrument throughout the album which emphasises the combined talents of the outfit. 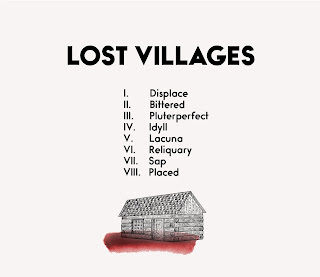 JUNO-nominated Canadian jazz quartet, Peripheral Vision recently launched their fourth album, More Songs About Error And Shame. "A rules-breaking quartet made up of some of the best modern players around. Fast-paced, intricate, and inventive" (CBC), Peripheral Vision extends their no-holds-barred performance aesthetic into the production concept on this album. Once again, they have teamed up with mad-scientist engineer, Jean Martin (Barnyard Records) to orchestrate a bigger sound for the record, adding layers of overdubs and studio treatments to the live-off-the-floor recordings. 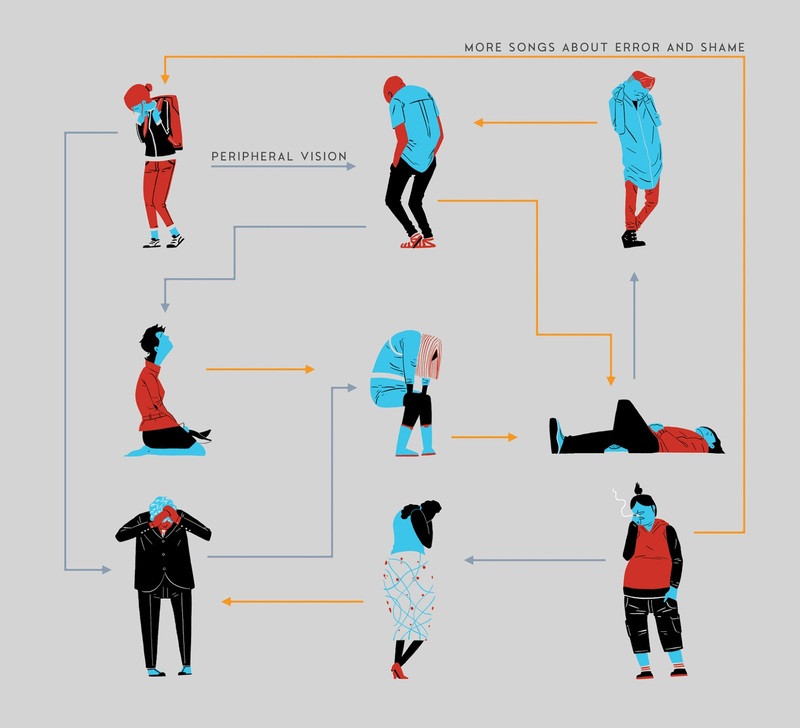 Peripheral Vision has always been a live show band, and the seven new Herring and Scott originals on More Songs About Error And Shame show what can be gained from years of touring, including three recent tours throughout Europe as well as many trips across Canada. 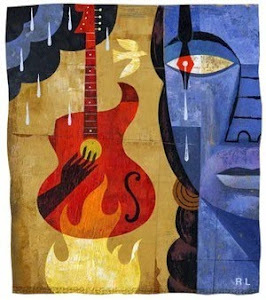 Co-leaders Michael Herring (bass) and Don Scott (guitar) delve into their own neurotic psyches, finding inspiration not only in music, but also in art, literature and stand-up comedy. The album title is a reference to the iconic album by famously neurotic band, Talking Heads, and this cross genre nod is indicative of how they like to mix genres and themes, blending classic and modern jazz, the rock music of their youth, and non-musical influences such as the Catalonian artist Miró, and British comedian Stewart Lee. This is a working band with a long-time rapport - Herring and Scott have been joined by drummer Nick Fraser and tenor saxophonist Trevor Hogg since the band's inception in 2008. Peripheral Vision is fueled by this long-time musical friendship, bringing years of tour van talks about music and life to the stage and studio, and this dynamic group interaction creates the provocative sound of More Songs About Error And Shame. Marty's review: On this their fourth album release, the combined talents of Peripheral Vision take us on a musical journey of contemporary jazz with classical influences. 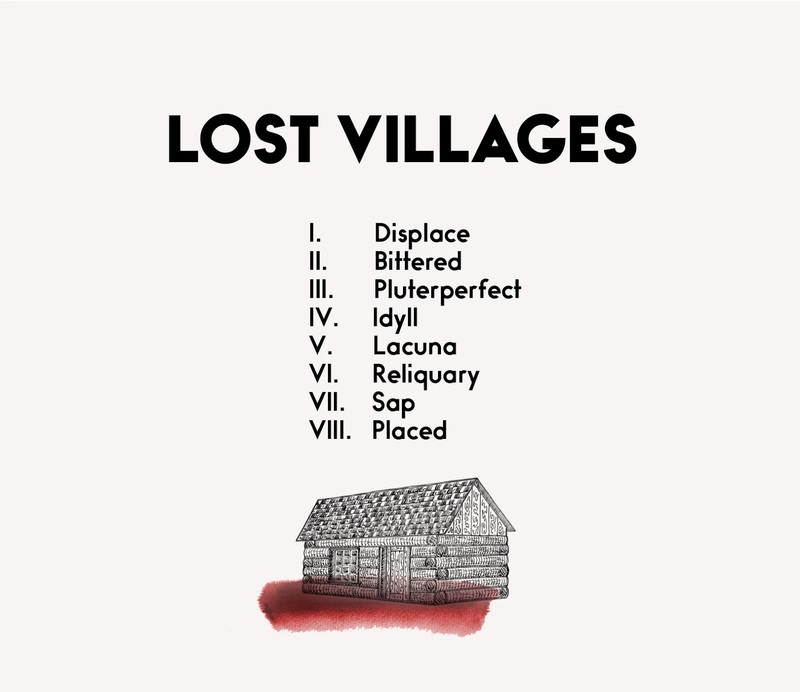 Each track is a blending of multiple elements that form to create a colourful canvas of rich, textured layers with a sense of humour and neuroticism in the titles. The personalities of each member come through in the compositions with their unique style of musicianship and delivery, making this release a top-shelf item that is easy to navigate through.